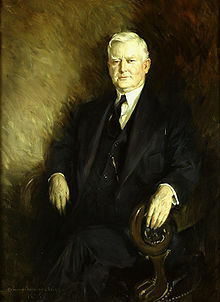 Ioannes Nance „Cactus Jack“ Garner (natus die 22 Novembris 1868 apud Detroitum, Texia – mortuus est die 7 Novembris 1967 in Uvalde, Texia) vir publicus Factionis democraticae, fuit etiam ab anno 1932 usque ad annum 1940, Franklino D. Roosevelt praesidente, secundus et trigesimus Praeses Vicarius Civitatum Foederatarum Americae. Timmons, Bascom N. Garner of Texas : A Personal History. New York : Harper & Brothers, 1948. Novissima mutatio die 9 Martii 2013 hora 09:13 facta.